For most people, adjusting to life with hearing aids takes time. There are new things to learn about the hearing aids such as how to clean them, put them in correctly, change batteries, etc., not to mention your brain is adjusting to hearing new sounds. 1. Red is right, blue is left. All hearing aids are color coded in some way to differentiate left from right. If you're not sure where your hearing aids are color coded, ask your audiologist. 2. When you hear the low battery warning sound, take the tab off of the new battery, and let it rest for 2-5 minutes. Hearing aid batteries are zinc air batteries and are activated by oxygen. 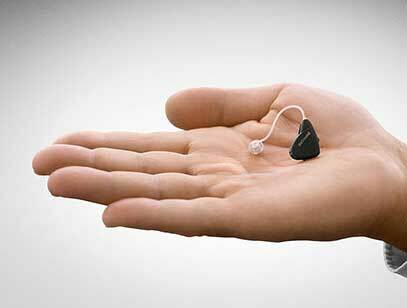 Letting them rest ensures that the battery will have a full charge before placing it in the hearing aid. Remember to insert the battery flat side up. 3. It is normal to struggle with inserting the hearing aids at first. Try to be patient - you will soon be able to insert them with no problem. Practice makes perfect. 4. It is normal to be distracted by environmental sounds for the first few weeks. Sounds such as water running, hearing the air vent kick on, the refrigerator humming, etc. may seem very loud and irritating at first. Your brain hasn't heard these sounds in a long time, so it draws your attention to the sound. Remember that people with normal hearing hear these sounds too! The more you are exposed to these sounds, the more your brain will begin to tune them out so you aren't as focused on them. Please ask us any questions you may have about your hearing aids. Our technicians are trained to answer questions about cleaning, insertion, changing the batteries in your hearing aids, etc.